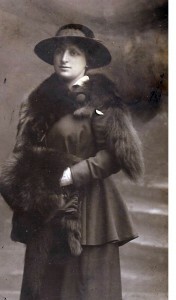 LOUISA BRATTISANI was the sister of Valentina Brattisani. 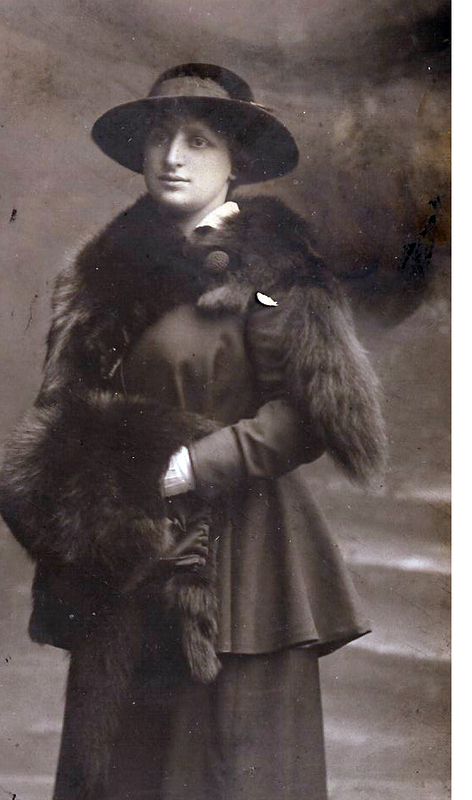 She was born in the year 1887 in her family home at 5 Middlefield, Leith Walk. She died aged only 50 years of Breast Cancer, at her home at 5a Broughton Place, Edinburgh. With thanks to Louisa’s grandaughter LOUISE JANE COSTELLA, named of course after her gran, who is helping Helen build her family’s pages. Louise is our second cousin x 1 removed. Welcome to the family. Middlefield , Leith, is located just beside Pilrig Church at the centre of Leith Walk. The Brattisani family lived here for many years until 1900 after the death of Emilio Quilietti. They then moved to 9 Greenside Place, further up the hill and this was to remain their home for many years to come. There was a seventeen year gap between Valentina and her sister but circumstances yet unforseen would change the life of this young sibling. 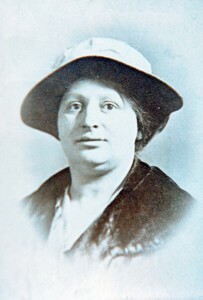 Louisa played a great part in the raising of the Quilietti children after the death of her sister Valentina in the year 1905. After the deaths of Valentina the remaining members of the large family still lived at the Quilietti/Brattisani address of 9 Greenside Place for many years after the death of Valentina and it was from here that the families would work, play and worship. Their local Church was of course St. Mary’s which now a Cathedral, and it was situated directly opposite their home. 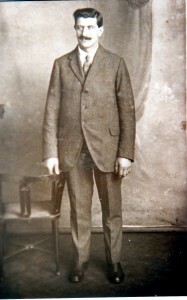 Louigi Pietro Mario, son of Louisa and Pietro. 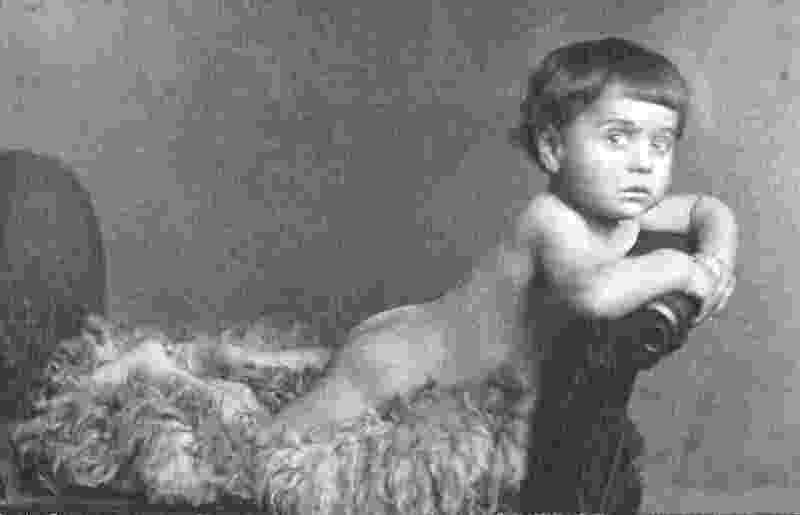 Photograph taken age 9 months Louigi Pietro Mario who was born in October 1921. Louigi Pietro Mario, pictured above in this fabulous photograph, was born in October 1921. 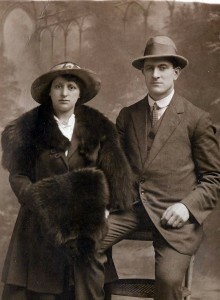 Louisa and Pietro knew each other for many years before their own marriage. Circumstances with a changing world and a World War looming would have been a decisive factor for them to marry. The families would almost certainly have been neighbours back home in Rovinalia or Borgotaro. On his arrival in Edinburgh Pietro found lodgings in Leopold Place just off the Greenside area in Edinburgh. The Brattisani family would have just been a stonethrow away further round the corner at Greenside Place. Witnesses at their wedding was cousin Lorenzo Brattisani who emigrated to the U.S.A. soon thereafter. Pietro or Peter as he was known latterly worked as a fish restraunteur in Edinburgh. Fish and Chips were a thriving business in Scotland at that particular time. After their marriage they at first stayed at the Brattisani address at 9 Greenside Place. Peter’s parents were Pietro Costella and he was a farmer. His mum’s name was Margherita Cabrielli. There were other Costella’s working in the restaurant business in Scotland at the turn of the century but I still have to establish a link between them and Pietro. Pietro had a short lifespan also and died in 1932 of a strangulated hernia. They were living at 71 Leith Street at the time. 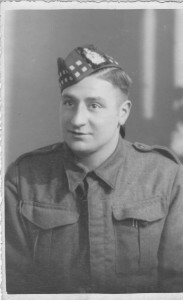 Their eldest son John Joseph Peter Costella was born on eleventh June 1917 at 2 Baxter’s Place, Greenside, Edinburgh. 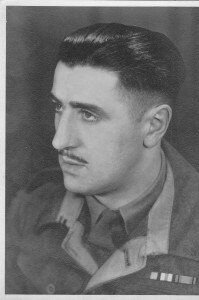 John Costella, affectionately known as Jackie photographed during the war years. This street is on the main street adjoining Greenside Place where the family had lived for many years. He was known to everyone as Jackie Costella and in later life he became a taxi driver. Jackie remained in close contact with the Quilietti family all his life. Jackie married Catherine Bell on 26th January 1949. She lived at 95 Dalry Road at the time of their marriage. They did not have any children. Jackie died on 15th November 1996 at his home at 3 Gayfield Square, Edinburgh. His nephew Peter was testament to his death. 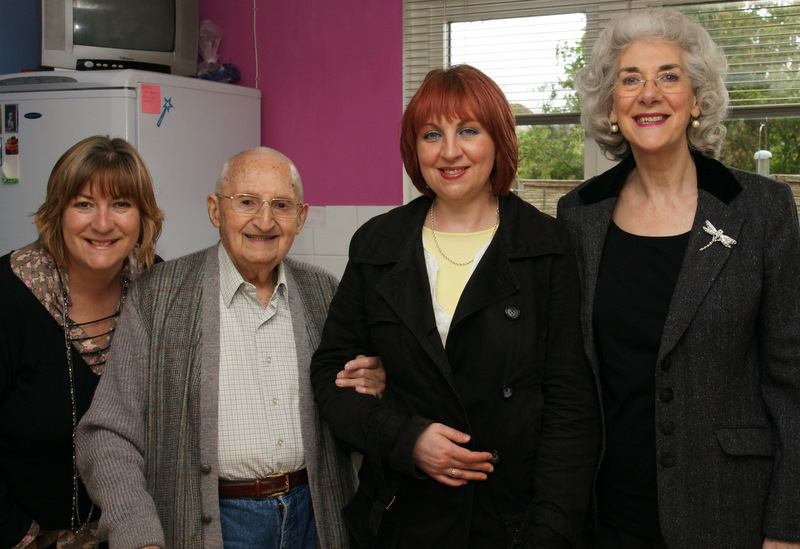 Their younger son was Luigi Pietro Mario Costella and he was born on 18th October 1921 at the family address of 9 Greenside Place. He was known to the family as Louie Costella. 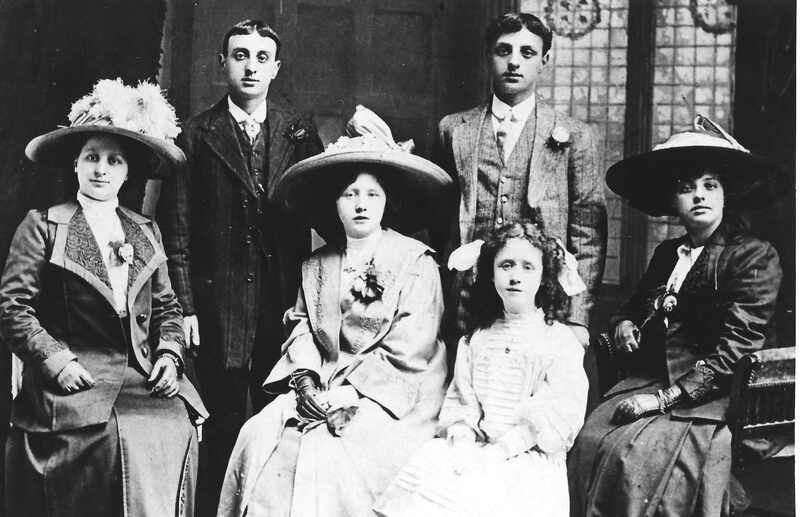 Louigi married Jane Prior Souter in St. Theresa’s R.C. Church in Niddrie Mains Drive, Edinburgh in 1944. Jane was a dressmaker by trade . 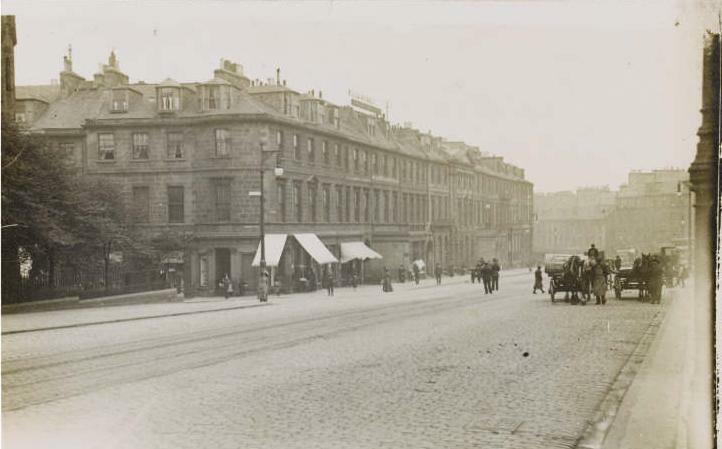 At the time of their marriage Louie was in the Royal Army Service Corps and lived at 6 Crown Street in Leith. The couple lived for a while in Craigmillar . It was many years later that they retired to Falkirk. They had several children whose names I will insert with kind permission of the family. forwarded on some family photographs of Sante Brattessani and Lina Peruzzi’s children in the 1990s. I am the 3rd of 4 greatgrand children of louisa marie and petrio (peter) costella. our father was luigi mario pietro costella (louie) it was so lovely to see the wedding photograph of our great-grandparents as we have never seen this photo before. some of the information is not quite right. our mother jane prior souter was born in edinburgh a lived the early part of her life in thistle street.my parents only moved to falkirk in their retirement years the ream avenue address if one of my siblings. if i can find out more from my eldest sister who is a mine of information about family history i will submit more.